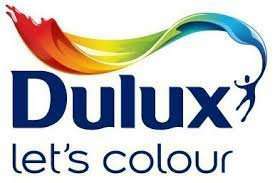 To purchase your Testers, visit dulux.co.uk and log into your account. Choose your standard 30ml Tester and add to your basket; proceed to checkout where the ‘free tester promotion’ will be applied automatically and complete your order by the end of the Promotion Period (the “Order”). Only one (1) Tester per person, household and IP address will be permitted and any additional orders will be rejected. No third party or joint submissions will be accepted. I don't see place to use voucher code? Above you basket contents in the check out page... Just ordered mine, works fine. Just choose your colours, select the tester and in the basket page, add the code on the right hand side - same level as the word "Basket" which is found on the left, under "Order". I was just pointing out the p&p charge with that code, that's all. got this last time. really useful little pot. they never sent me my last free tester so cold from me. The box to place the code in is slightly above and to the right of the item in your basket. Thank you. just ordered. Was going to buy one this week anyway. Me either? [/quot page here [quote=ragc22]I don't see place to use … Me either? [/quot page here [quote=ragc22]I don't see place to use voucher code? perfect! just painted our front room and used every last drop so good to have this for touch ups in the future! Arrived a few days ago. Thanks for this.